EMEA is happy to present a special opportunity exclusive to EMEA Members. 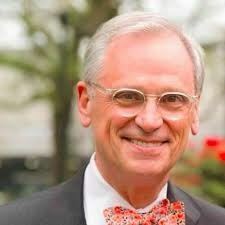 We will be having a special meeting for members only to meet exclusively with Congressman Earl Blumenauer. This event will be held at the Rockwood Public Safety Building, We will have an opportunity to interact with the Congressman, ask questions and share concerns. Please register early as we have a limit for participants. Elected to the US House of Representatives in 1996, Congressman Blumenauer has created a unique role as Congress’ chief spokesperson for Livable Communities: places where people are safe, healthy and economically secure. From 1996 to 2007, he served on the Transportation and Infrastructure Committee, where he was a strong advocate for federal policies that address transportation alternatives, provide housing choices, support sustainable economies and improve the environment. He was a member of the Foreign Affairs Committee from 2001 to 2007, and vice-chair of the Select Committee on Energy Independence and Global Warming from 2007 to 2010. He is currently a member of the Ways and Means Committee and the subcommittees on Health, Social Security and Trade. Congressman Blumenauer’s academic training includes undergraduate and law degrees from Lewis and Clark College in Portland.